Nedbank has set the price at which it will buy back shares from the hundreds of thousands of Old Mutual shareholders who received equity in the bank as part of the break up of Old Mutual Plc. In a statement yesterday, the bank said the offer price for the shares will be R276.48c, a 5% premium to the 10-day volume weighted average price of the group’s stock at the close of business on Monday. It said this would apply to all its new shareholders who hold less than 100 shares in the bank unless they choose to hold onto them. The odd-lot offer will be distributed as a return of capital rather than a dividend for income tax purposes. It said the pay-out may be subject to tax in the relevant jurisdictions. The last day to participate in the odd-lot offer is next Tuesday, with payment expected a week later, on 18 December. 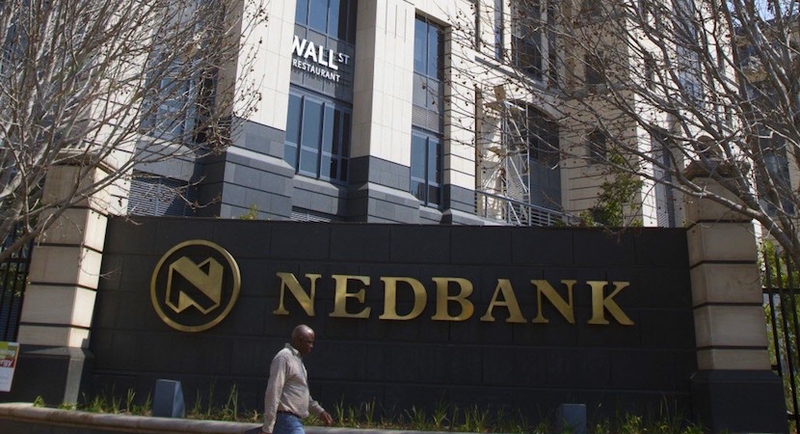 While the unbundling has the free-float of Nedbank’s shares on the market and removed the overhang on its share price, it increased the bank’s shareholder base from around 20,000 to about half a million. 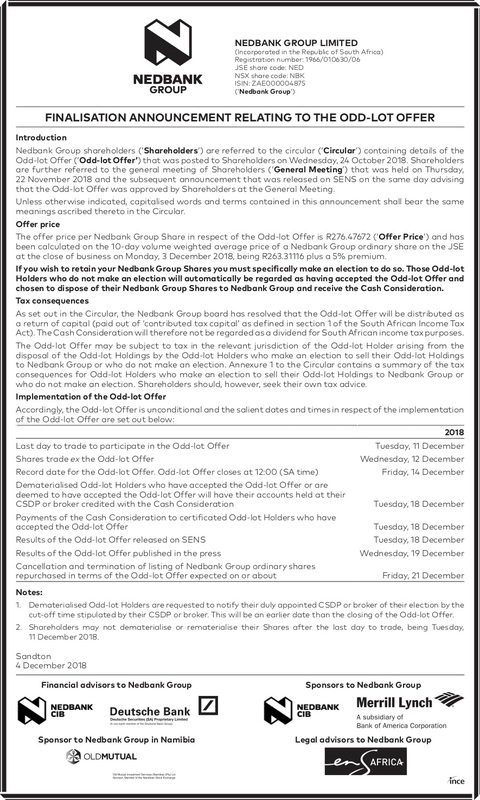 With the majority of its new shareholders holding less than 100 shares each, Nedbank said buying back those shares would reduce the complexity and cost of managing a significantly larger investor base. The aggregate shareholding in the bank of the odd-lot holders is estimated to be 1.5% of its shares in issue. Old Mutual’s massive shareholder base dates back to its demutualisation in 1999, when policyholders were given shares when the life assurer listed on the stock exchange.